I found this video one night and I thought some of you Diesel Mechanics would like to see The World's Most Powerful Diesel Engine. This is an amazing feet of engineering... I'd love to know what the cost is and more details about the computer system that they use to control it. 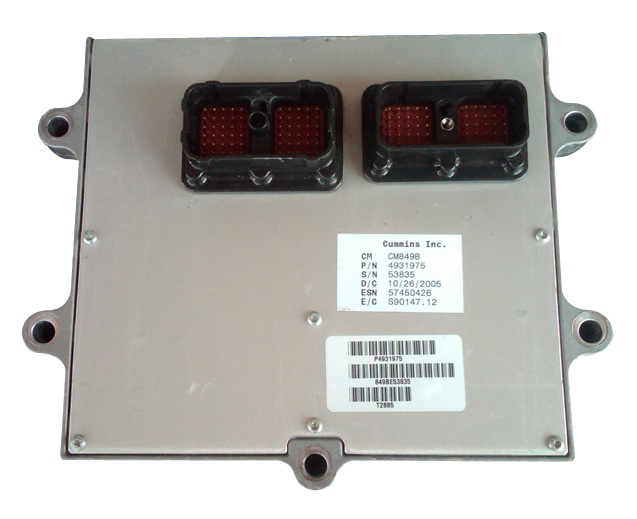 Most Diesel ECU ECM Computers can be rebuild in just a few days and at a reasonable cost to you. If you need it quicker you may want to use rush service at a small added cost. Our goal is to get your Truck back up and running and as always keep it up and running. As we all know down time can cost a small fortune to a Business. We understand this and also the cost of repair or replacement units have to be reasonable. Call or Text for a turn around time and price quote for repair and or replacement service. One year or a LIFETIME WARRANTY unlimited mileage warranty ... Warranty does not cover damage to ecm from external malfunctions (I.E. backwards batteries, welding while connected, shorted injectors, bad wiring harness, pressure washing, etc.) Warranty does not cover labor, towing or damage resulting from ECM failure. Warranty / liability shall be limited to the cost of Repair of the ECM. A refundable core deposit of $400 will be charged, then refunded when we receive your rebuildable core. (A rebuildable core is basically any Celect or Celect Plus ECM that does not have a burnt spot, short, or excessive corrosion on the circuit boards). A non-rebuildable core Charge will be average $400.